NEW BMW 3 SERIES SALOON. Living up to its reputation as the ultimate driver’s car, this seventh generation model is now more refined, more responsive, and more alive to the driver. THE BMW 3 SERIES SALOON IN MORE DETAIL. Make every journey unique to you with enhanced, intelligent features like the new Intelligent Personal Assistant. This learns and recalls driver behaviour and integrates the journey seamlessly with everyday life. With Live Cockpit Professional specification, the Intelligent Personal Assistant allows you to communicate to your BMW. Combined with BMW ConnectedDrive services, you are always connected to your BMW. Just say 'Hey BMW' to start. 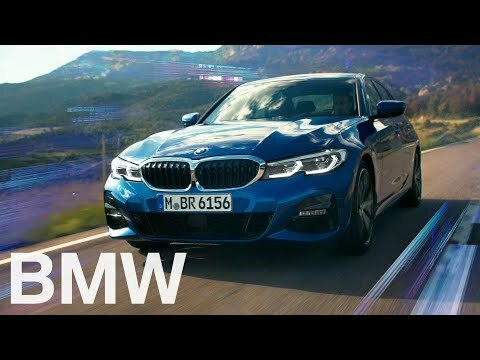 The BMW 3 Series begins a new chapter with the seventh generation taking to the road, evolving its character in a sharper and more progressive direction. Enhancing its design with clear contours and innate dynamics with a modern presence. The all-new BMW 3 Series Saloon has matured its design while keeping to its iconic, classic style. Flowing lines create a recognisable silhouette displaying the saloons sporty yet elegant feel. The BMW 3 Series contains delightful features and details which combined with the latest technology deliver an unparalleled driving experience. Ambient lighting, large sunroof, M Sport heated seats and a welcoming light carpet as you enter are just a few of these wonderful touches. The combination of BMW’s electric motor and the TwinPower Turbo 4-cylinder petrol engine puts the new BMW 330e iPerformance in a league of its own. Offering an all-electric range over 30 miles, a combined range of 372 miles, and a 0 to 62mph acceleration of just 6.5 seconds – it’s time to rediscover The Ultimate Driving Machine. Available from July 2019.